I know long time coming after the teaser of some pictures! I wanted to make these again but having recently been warned off dairy (and feeling tops for doing it) The thought of these buttery little treats put me off 🙂 Oh butter why you taste so good! Today I have made them again this time using ‘Nuttelex’ in place of butter. I have been trying to find a good substitute for the butter without going for an oil. If I was doing a fruit one then I would happily just increase the fruit or add some apple puree but I guess they are not vanilla cup cakes then. So the Nuttelex for me it was! This gives them a dairy free option – same quantities as the butter. So you can use either. 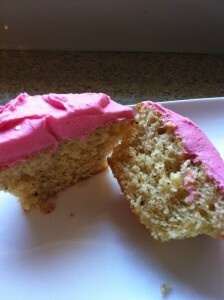 I have also changed up this recipe from my usual cake recipes and the result has been a really light and fluffy cup cake! I hope you enjoy! Place into the TM bowl and blitz on Speed 9 for 10 seconds. Add to TM bowl with sugar and vanilla and turbo blitz 4 -5 times. Set aside all dry ingredients. This is sort of like sifting your dry ingredients. It makes sure that the baking powder is well incorporated with the dry ingredients. Add butterfly. Add butter and mix on speed 4 for 20 seconds. 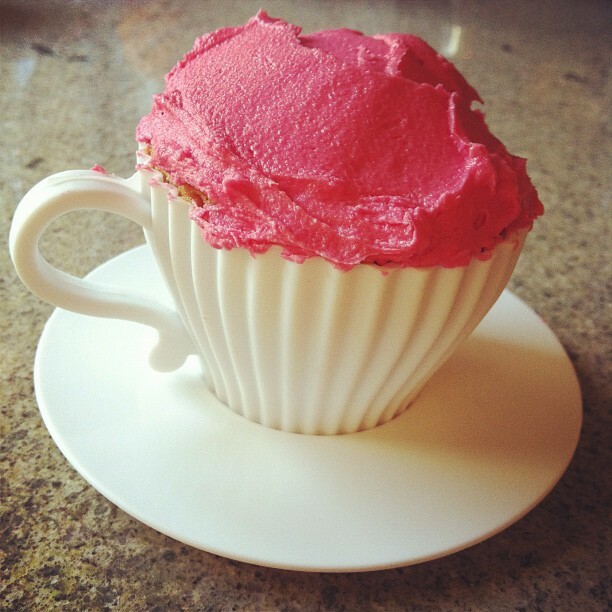 Once all combined place mixture into baking try / silicone cups and bake at 180 degrees for 15 – 20 minutes. Will depend on the size of your cup cakes. It’s worth checking if they are ready after about 12 minutes. Test with a skewer to make sure they are cooked through. Once cooked allow to completely cool before icing. Add all ingredients and blitz on speed 6 for 8 seconds. Add butterfly and whip on speed 4 until desired consistency reached. About 25 – 30 seconds. You can use a Vanilla Paste or Essence in replace of the whole pod but if you have the time try it! Yummo! To dry leave in the oven at 60 degrees for about an hour or until dried. You can use any flavour and colour for the icing – Stawberry essence can be purchased like this – HERE. Try Nuttelex for a dairy free version. You can use self raising flour and omit the baking powder if you like. 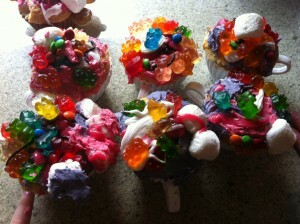 Miss 5 and her little besty – Cup Cake Decorating Stormy Afternoon!